Leanne and Simone explain the look that caught the judges eye and clinched them a place in the Grand Final; "We loved the catwalk collections by Tom Ford and Dior Homme. For the haircut we went for a classic style with a twist - really clean lines and a subtle colour. 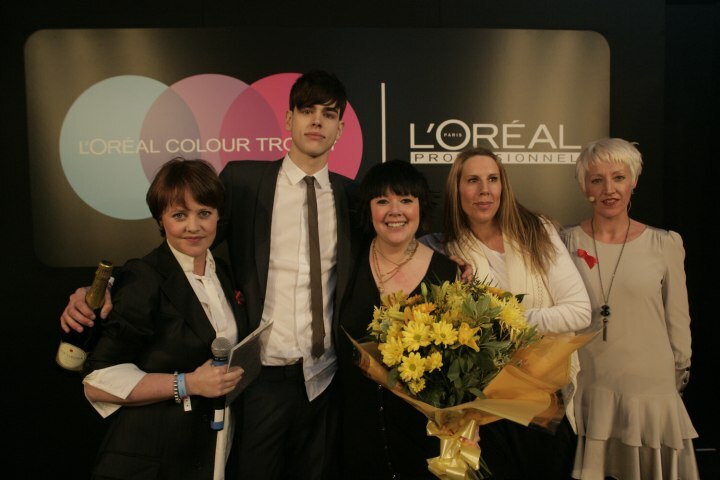 The model's hair was originally black and we took him lighter." 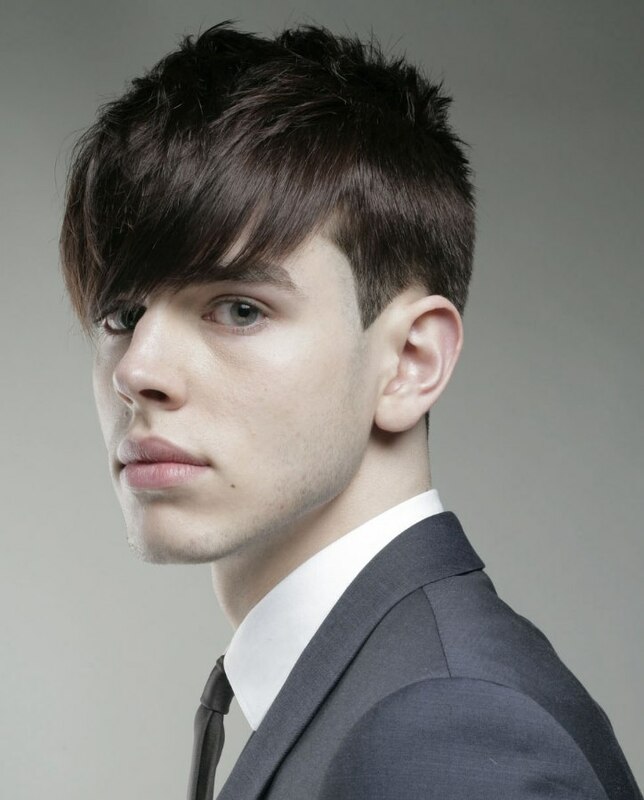 Clean and polished lines of hair are clipped up around the ears and across the back as West Row Hairdressing continues with the beginning of a choppy crew in the crown that graduates into the hefty creation of a waterfall that dips over upon the young man's eyebrows. An ideal medium brown tone was brought up from a darker shade of brown pinpointing the punch in the hairstyle.